Ventilation needs change with the season – from balancing heat retention with air quality and moisture removal in the winter to exhausting excessive heat buildup in the summer. Regardless of the season, our goal is to minimize environmental stress and provide a ventilation system that will remove airborne contaminants, provide a consistent source of fresh air and manage effective environmental temperature for the animals. Modern ventilation systems provide increasingly effective control of individual ventilation components. But it’s equally important to make sure caregivers are providing effective tactical implementation of this technology. 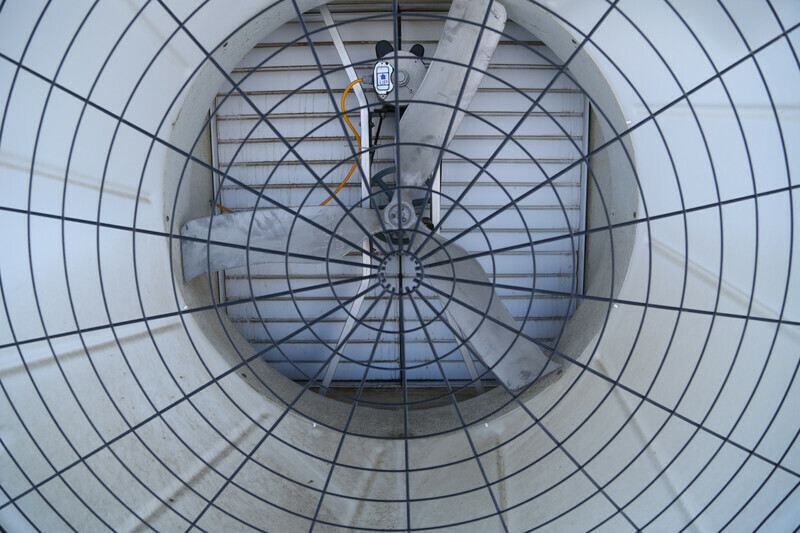 Here are five tips to set your ventilation system up for success. 1. “Prep” for success: Prefill inspection. It doesn’t matter if you are starting a nursery lot, a wean-to-finish lot, or a group of feeder pigs, you only have one opportunity to start the group off right. Don’t leave this to happenstance. Inspect the functionality of all systems before the arrival of new animals. Successful preparation begins before the end of the preceding group. Identify maintenance issues early to allow time to get parts, schedule outside maintenance personnel and complete repairs during the period between lots. The prefill inspection can then be used for verification that maintenance was completed, rather than the initial discovery of a problem. We typically target the prefill inspection after the facility wash and before the first shipment arrives. Inspect the functionality of fans, heaters, brooders, inlets, curtains and controllers. This inspection should include an exterior facility examination. Turn on all pit fans before exterior examination. Verify even operation across all fans and shutter cleanliness. Identify and remedy “unwanted” air inlets, holes or sags in curtains, missing fan louvers and poorly fitted pump-out covers that will short-circuit ventilation efforts. We can’t troubleshoot ventilation shortcomings inside the barn without knowing the status of the exterior components of the ventilation system. Sit down with caregivers and establish ventilation expectations for the new group. Establish minimum ventilation needs according to room stocking numbers, animal size and recommended seasonal ventilation rates. Review barn warm-up schedule. This schedule allows the slats time to warm up before piglet arrival. Identify controller set points and seasonal curves/settings. Establish supplemental heat zone needs (if applicable). Run the ventilation system through a “test mode” to verify desired performance. After establishing minimum ventilation CFMs and inlet opening requirements, focus on maintaining proper air speed (or static pressure). We typically target an inlet air speed of 800 fpm to allow for proper mixing and tempering of air. As variable speed fans ramp or new stages kick on, the inlets should be set to open sufficiently to maintain the targeted air velocity. Test emergency systems and reset E-thermostats and restrictor chains to the requirements of the new lot. Identify and repair last-minute maintenance needs. 2. Allow the controller to do its job, but monitor. Modern controllers do an effective job in staging ventilation components in an orderly and controllable manner. They also provide tools that are valuable in monitoring the system. High/Low temps may indicate system shortcomings. Low temps that are greater than 4°F below set point may indicate heater issues or point to excessive heater offset or differential. Individual probe temperatures may indicate an issue isolated to a specific area of a barn. 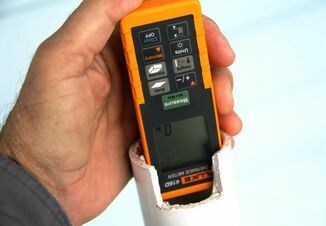 A low temperature reading on “probe 4” may be the result of a gapped inlet or defective heater. Heater run times can spotlight improper heater off-set, unwanted air inlets or overaggressive ventilation rates. A zero amp draw may indicate a defective motor or a motor disconnect switch that is turned to off. A low amp draw may indicate a missing or loose belt. A high amp draw may indicate a pending maintenance issues such as a bad bearing. Sometimes modern controllers provide temperature history in the form of graphs. Note abrupt peaks and valleys. This may indicate being too aggressive in CFM adjustment between fan stages. 3. Timeline pending ventilation actions and use calendar reminders. Today’s integrated controllers have several options to automatically control ventilation activities. Temperature curves, minimum ventilation curves and day/night settings are just a few examples. However, there are still several ventilation-related activities that are dependent on the caregiver to execute. Identify these events during the prefill inspection, timeline them and enter calendar reminders to support execution. Adjustments to emergency thermostats are made periodically as pigs grow. Create calendar events as reminders or tie adjustment activities to other events, such as routine site visits. Restriction on emergency curtain drops travel is also adjusted as the pigs grow. Our protocol indicates piglet weight as the trigger to make adjustment, but this can be translated to a timed event based on historical ADG. Preventive maintenance schedules are critical in keeping the ventilation system operating effectively. Depending on the timing of lot placement, the opening or closing of snow doors may be required. Maintenance assessment, scheduled during the marketing stage of the current lot, will provide a head start in preparing for the successful start-up of the subsequent lot. 4. Ventilation Gold Standard: Observe the animals and their environment. The pigs will provide clues to their comfort. 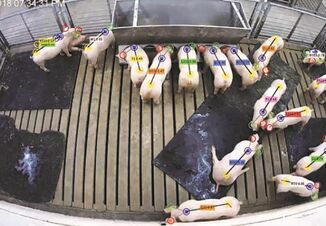 The effective environmental temperature (what the pig feels) will determine how the pig responds metabolically and behaviorally. Adjust ventilation to correct the stressors the animals are indicating. 5. The final piece of any integrated ventilation system is a trained and knowledgeable caregiver. The purpose of an integrated ventilation system is to provide greater control over the production environment. If we achieve this, we can provide an improved environment with improved cost management. However, the integrated system does not replace good old-fashioned husbandry and observation skills. The controller ties the various components together and orchestrates their interaction but operationally assumes that all components are functioning and inputs are correct. The controller does not know if a 45% inlet opening is too much. It does not know if a fan is out. Some farms may choose to have certain individuals who are more intensely trained on controller operation and who make most controller adjustments. However, all caregivers should be trained in ventilation basics and educated to recognize and take note of important in-barn observations and to recognize key points of animal behavior. If you identify an issue, find the root cause of the problem and correct it. 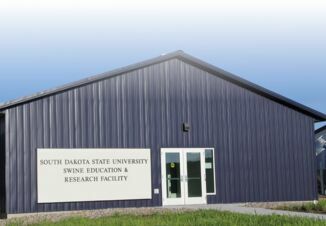 This article was written in context to nursery and finisher facilities, but the same principles apply to starting out a new farrowing room as well: Prepare for a successful turn, monitor results and watch what the animals are telling you. Technology is rapidly enhancing our ability to effectively manage our operations. Make sure you provide the correct tactical application of these modern integrated ventilation systems. Continued success is a matter of training, preparation, planning and maintaining a foundation of solid animal husbandry.